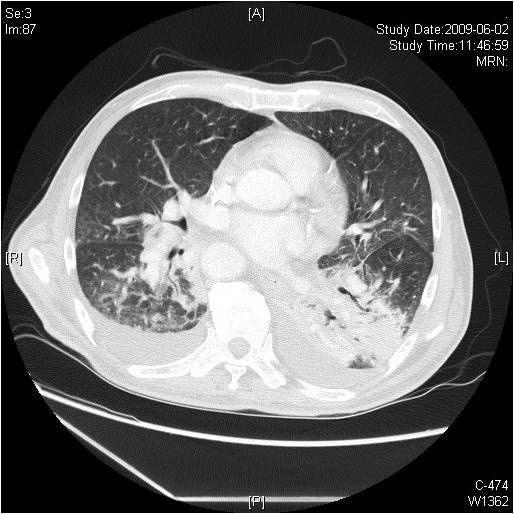 On HD 21, skin biopsy was done for accurate diagnosis. Culture of blood and skin from HD 21 were reported to be growing certain microorganisms. 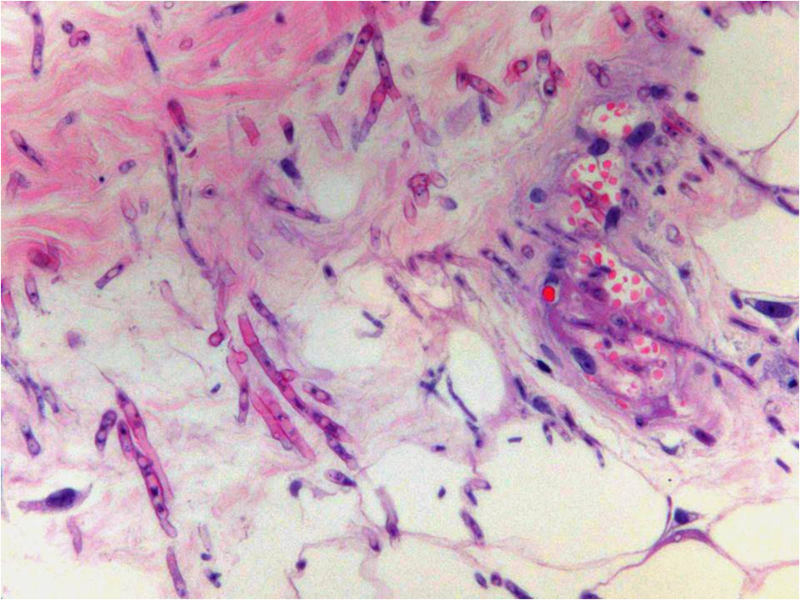 - There are septic fungal emboli in the blood vessel. 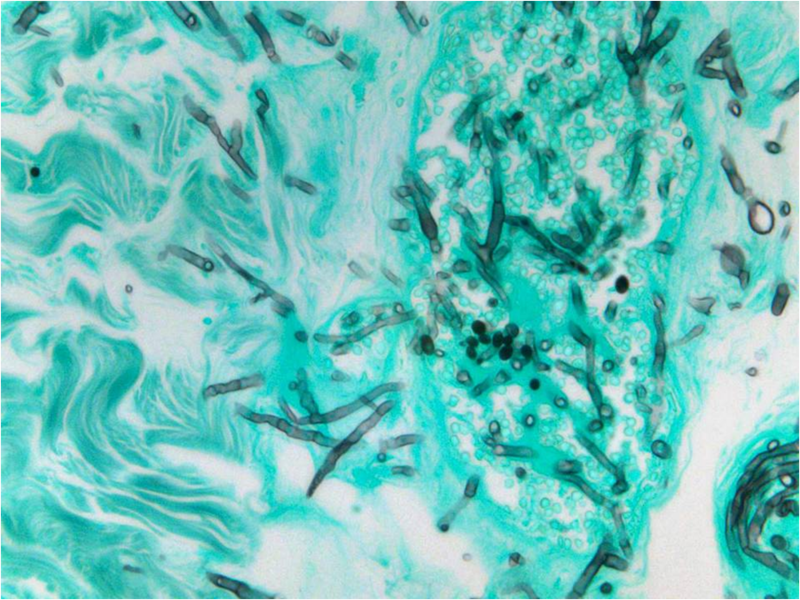 - PAS & BMS stains revelaled branching septated fungal hyphae. - blood & sputum culture : identified the fusarium spp. - Opportunistic molds, present in soil and on plants. 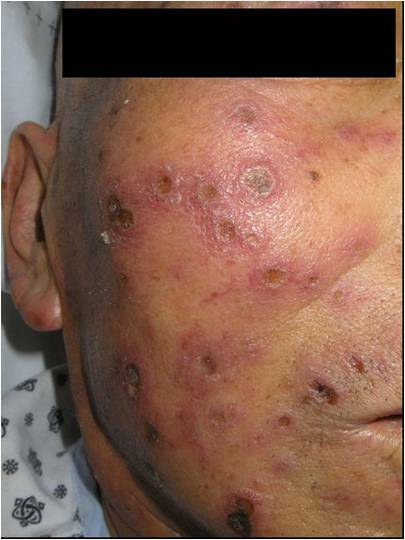 - Disseminated Fusariosis usually occurs in severely immunocompromised patients. with BMT or hematologic malignancies. * Skin (60~80%) and Blood (40~50%) are the sites most frequently involoved.